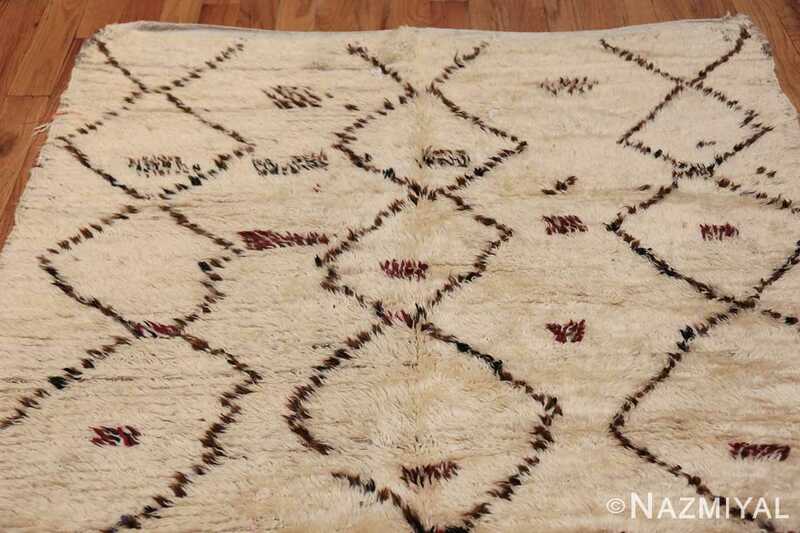 Beautiful Vintage Small Size Moroccan Rug, Country of Origin / Rug Type: Morocco, Circa Date: Mid – 20th Century – A vintage Moroccan rug is always an excellent addition to a contemporary interior design. 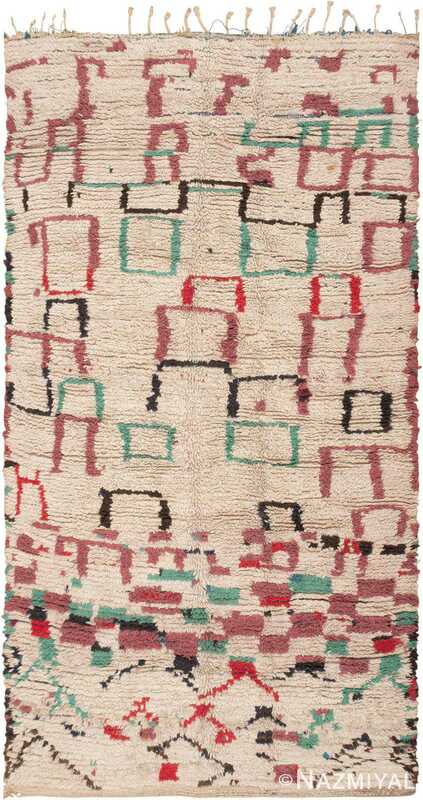 They have been popular since the mid 20th century and have been coveted for their more simplistic abstract design elements and more primitive and tribal appeal. 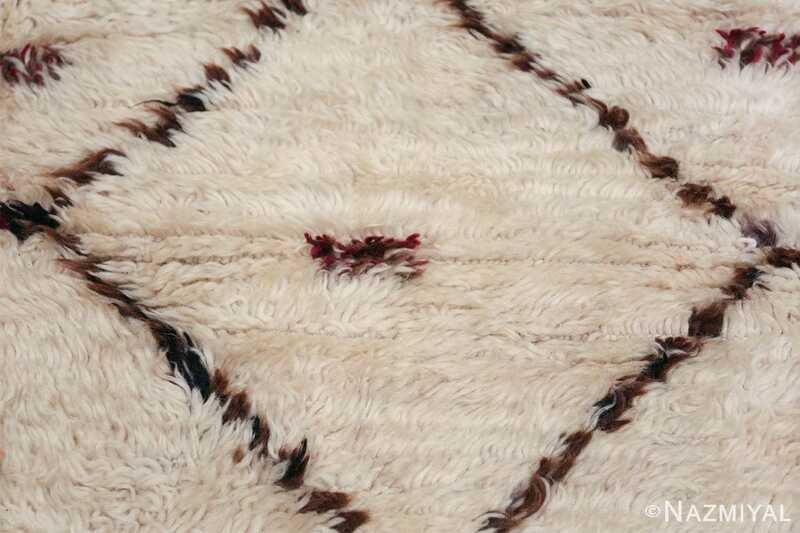 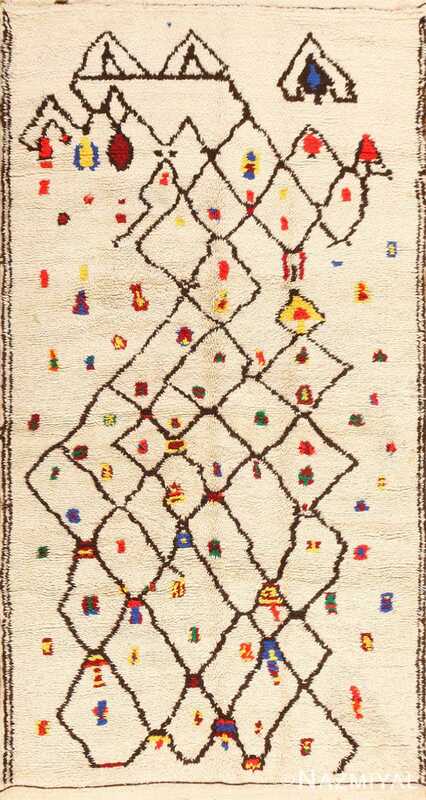 The design elements in the vintage Moroccan rugs are often informal and appear to be random to the modern eye. 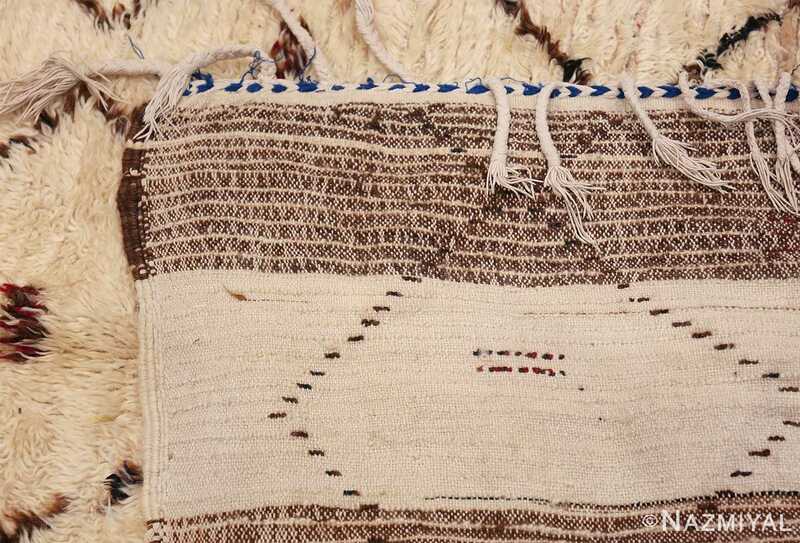 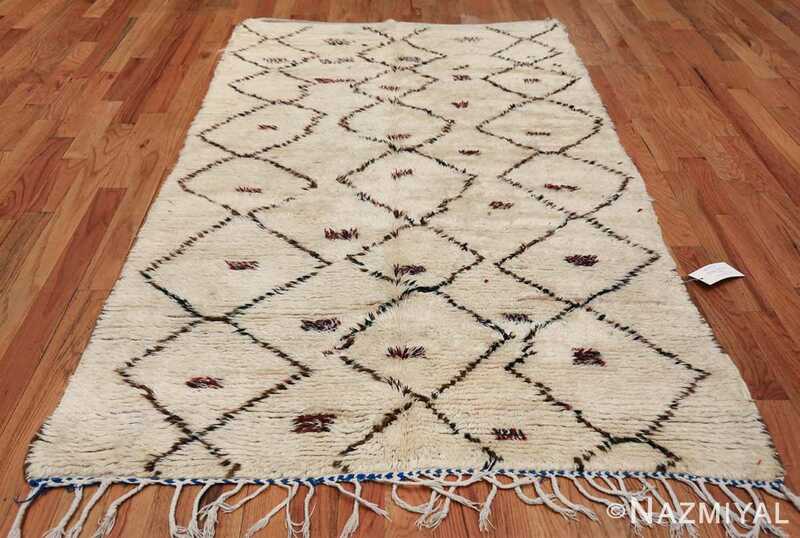 This gives the rugs from Morocco an artistic quality that modern designers try to mimic, but often failed to achieve the primitive quality of true vintage Moroccan Berber carpets. 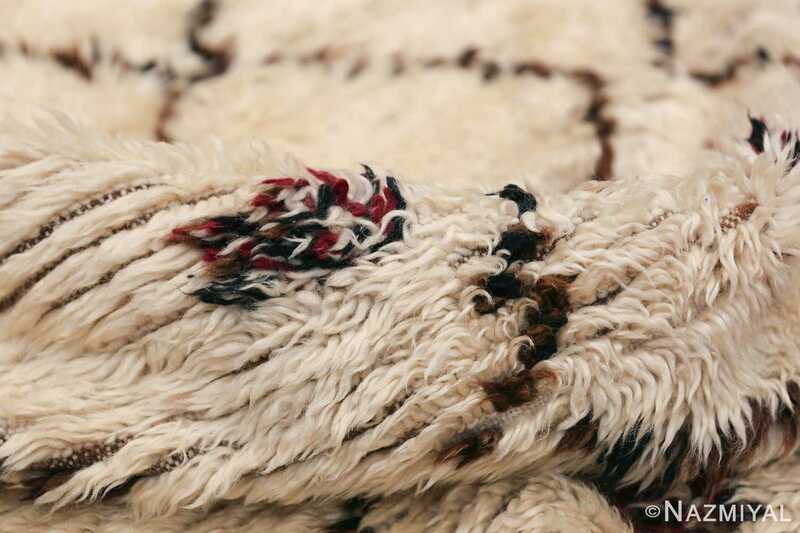 These magnificent vintage rugs are known for their soft plush shag pile feel and lasting quality. The weavers proudly created these works of art that were destined to become family heirlooms in years to come. 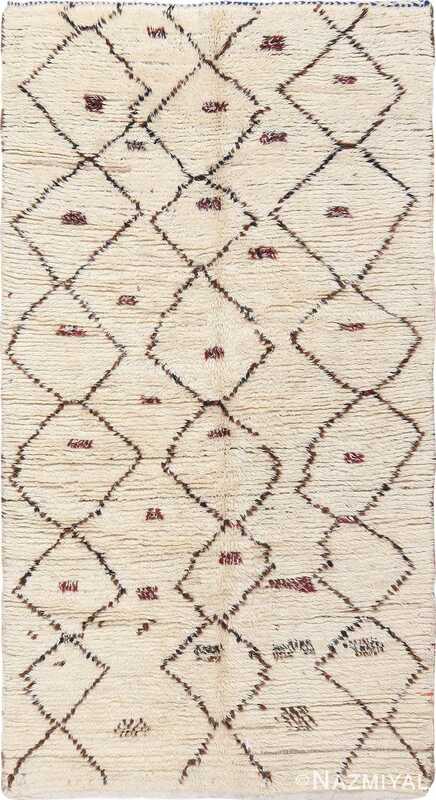 The main background color of this small size rug is ivory. 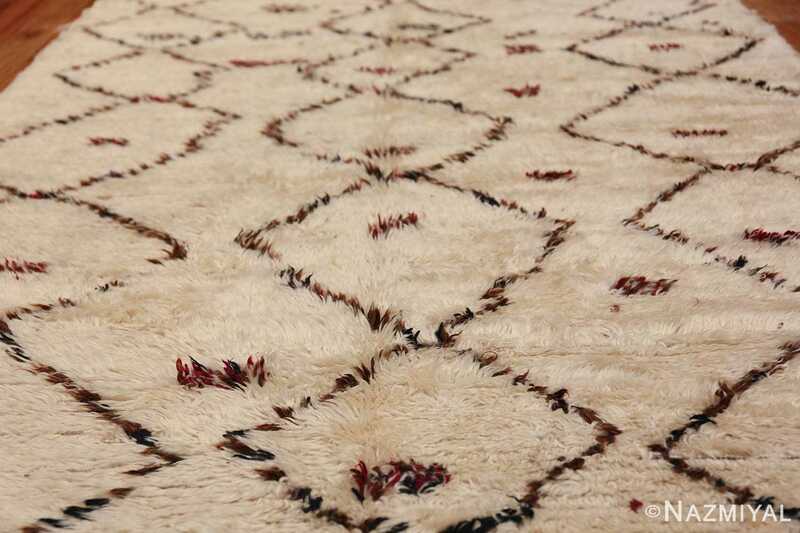 Against this light cream color, the darker tones of chocolate brown and purple mauve really stand out. The meandering lines that form the diamond patterns that appear to be random, but these vintage Moroccan rugs use ancient symbolism that tells a story. This makes each one a special reflection of the life of the weaver. 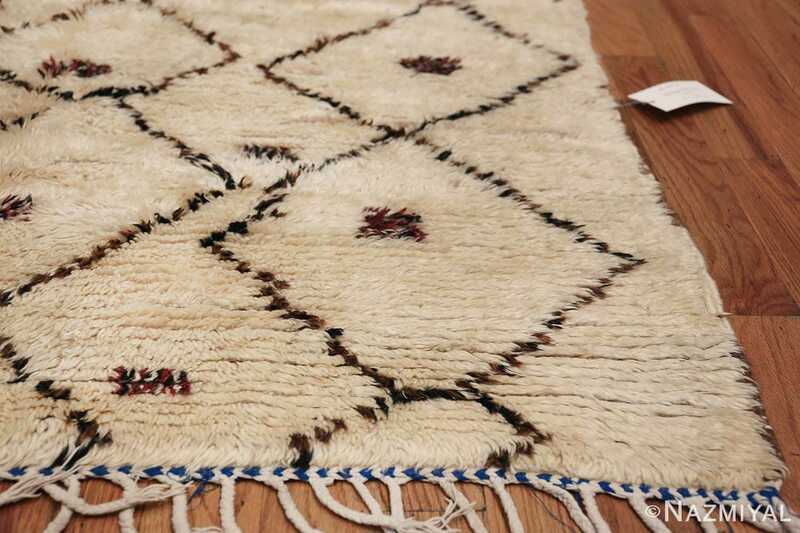 Even though we no longer know what the stories mean or anything about the life that the rug represents, the beauty of the artistry stands out as timeless and works well with modern minimalist and modern Scandinavian design schemes. The hand drawn quality of this magnificent small size vintage rug from Morocco is what gives it a special appeal for both the seasoned art collector and anyone who appreciates the craftsmanship that continues to go into these rugs. 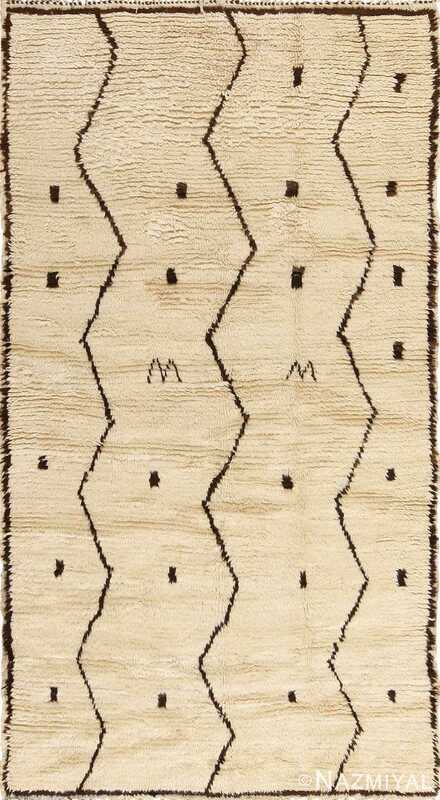 This is an excellent mid-century example that will look beautiful in any home or office that requires a piece with an organic, earthy feel, and primitive, abstract quality. Playful geometric motifs and carefree abstractions decorate the sumptuous ivory-colored field of this stylish vintage mid-century rug that was created in Morocco.